Life is sweet, but it hasn't always been that way for a little pup who’s lost her way. 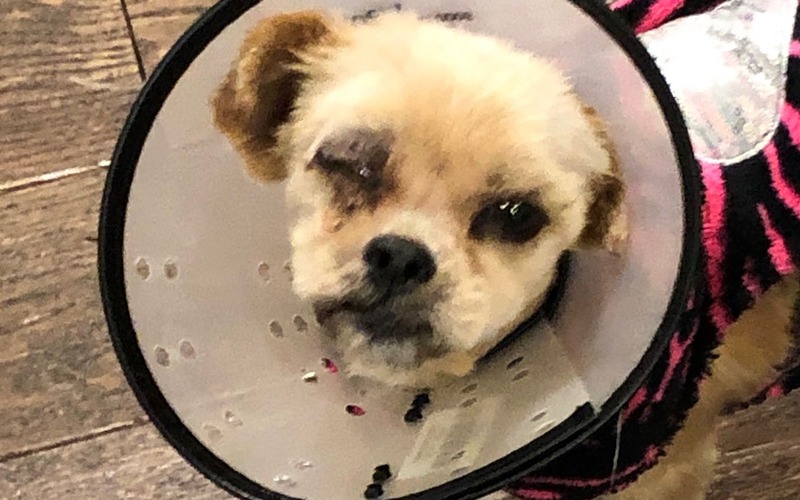 Not only did Sugar lose her family, she lost an eye, too. When she needed someone to care for her the most, she had no one. She was all alone. But now she's been fixed up and has someone caring for her, and the kind and wonderful folks at Doggone Happy Animal Rescue will be working to find her a forever family, one that won’t let her down. But she has some bills to pay. All of the great things that have come her way cost money. Let's help her repay that good turn by making sure they can keep doing that for other lost and injured pups like Sugar.